PAK 13 "Stand Up And Fight!" 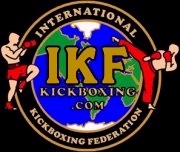 IKF Locker Room Inspectors: Chris Fields, Rob Cahoon, David Bustillos & Victor Zaragoza. defeated **Ruben Fernandez ( Fresno, California, USA, 0-1, 142, 5'3", 4-18-88, James Cantreas, (559) 346-7371, - (FP: 3-13-15) - (RN: 3-15-15) - (LU: 3-15-15)) by TKO at 1:47 of Round 2. Ruben Fernandez was issued a 30 day no training and 45 day no competition Medical suspension. Defeated**Adrian Dotimas (Fresno, California, USA, 0-1, 125, 5'4", 6-20-90, James Spear, (559) 704-5276, - (FP: 3-9-15) - (RN: 3-15-15) - (LU: 3-15-15)) by KO at 1:26 of round 2. Adrian Dotimas was issued a 180 day Medical suspension due to an injured knee. Must serve the minimum 45 days for injury and can be cleared by Ortho Doctor prior to 180 days. Due To NOT Being Within The Legal Weight Spread. Judge Ralph McKnight: 48-47, Cabrera.